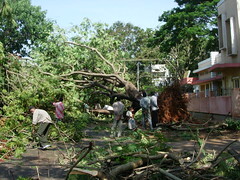 A few photos of the many trees that were uprooted due to the heavy rains on Friday. Rest of the Set. I shouldn't say snaps of fallen trees are nice... but the photos as such have come out well. The sunshine gives it a mildly ironic touch. If I'm making any sense? 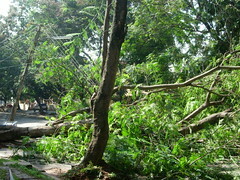 Wish there wasn't such destruction though... One of the few things I like in Bangalore is the number of trees.